Motueka SeniorNet is proud to offer a range of courses to its members. These are prepared and delivered by a small number of dedicated volunteers. Paid up members of SeniorNet Motueka and paid up members of Nelson SeniorNet can enrol in our classes. In addition, interested seniors who are non-members may enrol in a class, but will be charged twice the fee of our members. We offer beginner courses for all devices – PC, Mac, iPad, Android tablet – for those who would like to start at an introductory level. If you are feeling a little “rusty” we also offer general Refresher and Beyond the Basics courses. You will see from the list of courses available that we cover a range of software – Word processing, Desktop publishing, Email, Photo editing, etc. Also areas of interest such as YouTube, Skype, Facebook, TradeMe, Google Earth, Genealogy. Other courses focus on managing/personalising your computer, organising your documents and photos into folders, or backing up your files on the Cloud..
We encourage you to follow your interests, and if you think of an area we are not covering, the committee would love to hear from you. To find out which courses are being held this term click here. Learning is also available via our very popular interest groups, by dropping in to one of our Help & Support sessions, or perhaps following some self-directed online tutorials. Please feel welcome to talk to our Course Convenor, about what starting point would be best for you. To enrol, phone or email the tutor listed on the course schedule and book in. Make your payment on the first day of the course, by cash or cheque (no Eftpos facility is available). If there are too many applications – numbers are limited to 4 – 6 per class – you will be placed on a waiting list, or another class may be formed. Please have your membership number ready when applying. The fee for our courses is currently $5 per 2 hour session. This includes a handout and refreshments. Interested seniors who are non-members will be charged twice the fee of members. Courses are scheduled throughout the year in four terms which coincide with NZ school term dates. Unless stipulated, all courses are run weekly and last two hours..
We sometimes run “sharing sessions” and these are usually scheduled as one single 2 hour session. Take home course notes are usually provided with each course. To see a list of Course Summaries click here. To see the current term schedule click here. 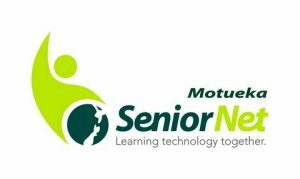 Paid up members of SeniorNet Motueka can attend courses run by SeniorNet Nelson. To view Nelson’s current term schedule click here.